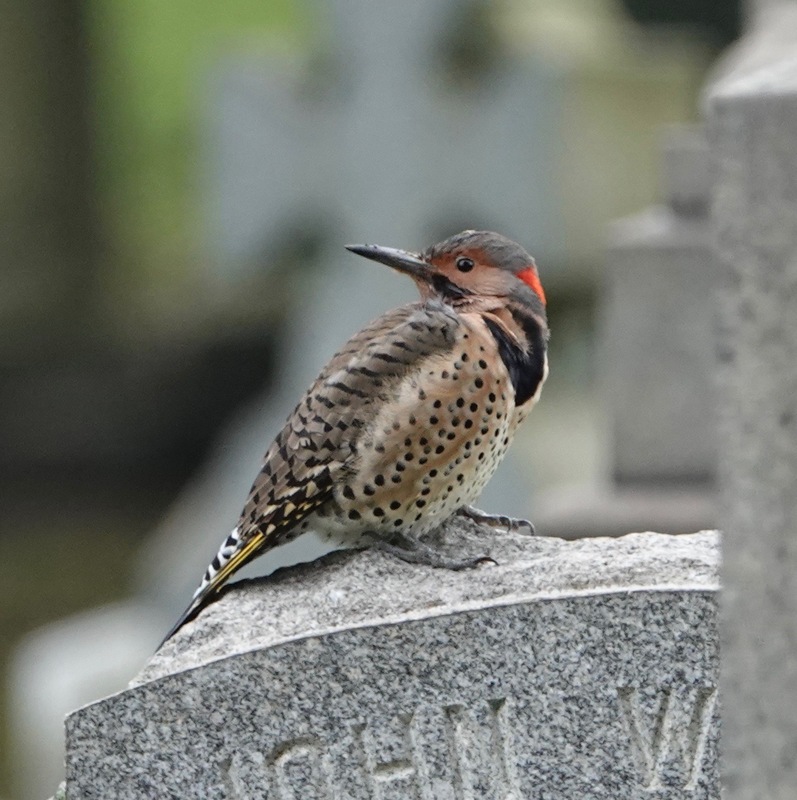 Northern Flicker, yellow-shafted edition of the east. They have mostly passed through in migration by now, but a couple of weeks ago, the city was full of them. This Colaptes auratus male — females lack the black mustache marks — excreted while perched up here. Most of these birds are pretty skittish, bolting quickly at the first sign of anything. 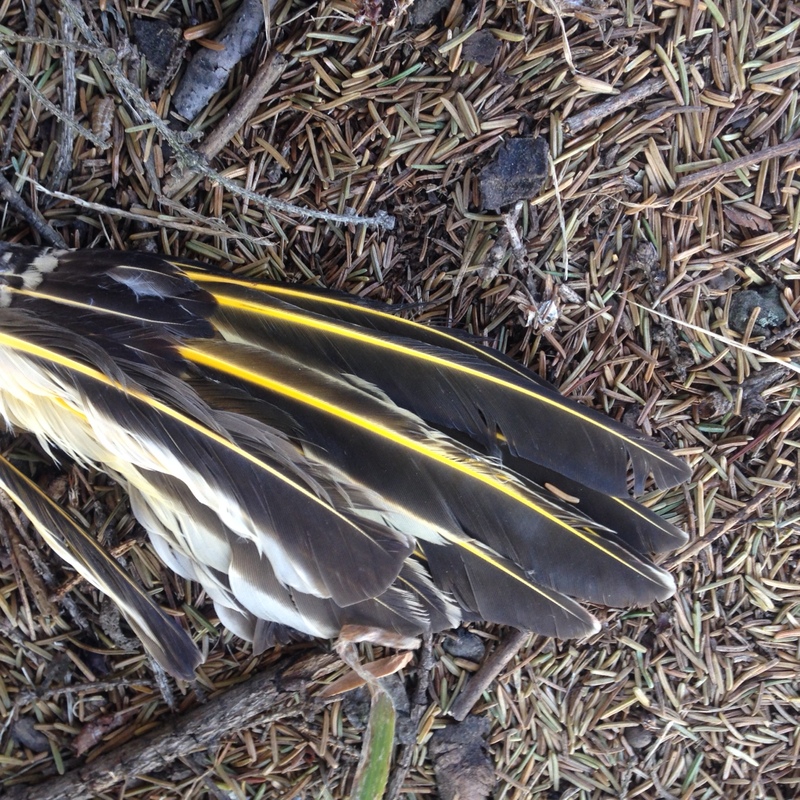 I’ve come across dogwood trees this fall that have emptied of a dozen flickers before I could say “pardon me.” The “yellow shafted” refers to the wing feathers, best seen from below, winking yellow in flight. 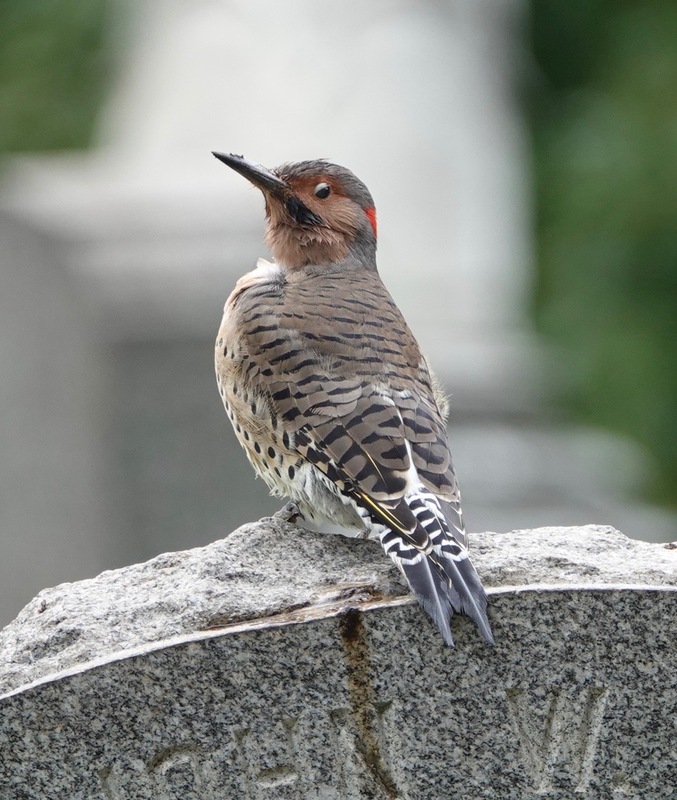 Or at kill sites: I find plucked Flicker feathers a lot during migration. Finding whole wings are a bit unusual, but it’s the breast meat that predators go for, all that blood-rich flight muscle. 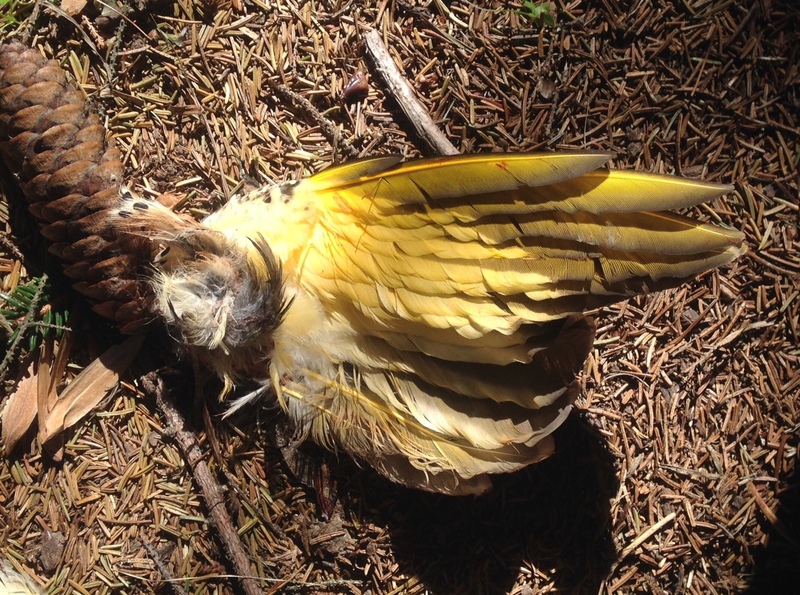 This is our only woodpecker species that spends a lot of time on the ground, foraging for ants, beetles, and larvae of same, probably making them more vulnerable to predation from above. This one’s bill is dirty from poking into the ground. 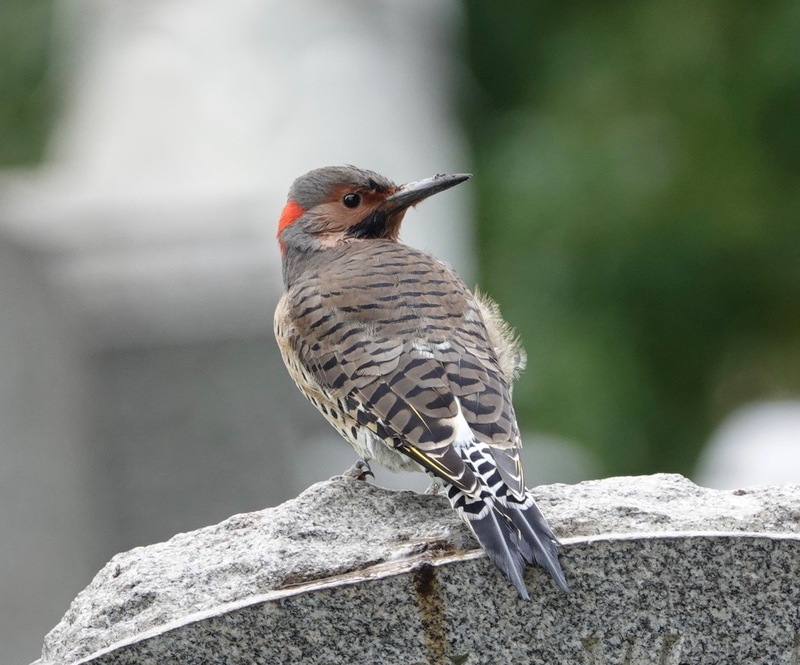 Out west, the Flickers have red-shafted feathers. In between, they tend to intergrade.